Emani Payne is the Evening Weekend Anchor at KCEN TV. You can catch her on the desk Saturdays at 6 and 10pm and Sundays at 5 and 10pm. Emani also reports Wednesday-Friday at 6 and 10pm. 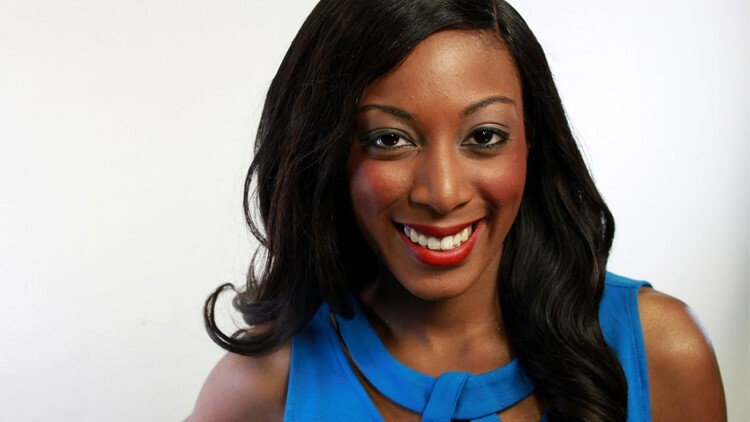 Emani began her career at KCEN in May of 2016 as a Reporter before being promoted to Weekend Anchor in 2018. During her time at KCEN TV Emani has received national recognition for several stories: Including her exclusive continuing coverage of a local Justice of the Peace who set a historic $4 billion bond, a local woman protesting craft giant Hobby Lobby for selling cotton filled vases which she said reminded her of slavery and a man who was shot and killed by the son of a Killeen Police Officer. One of Emani's most memorable stories was traveling to Beaumont for several weeks to cover Hurricane Harvey. She says it was incredible to witness the community come together during such tragedy. Emani is an Emmy award winning journalist who thrives on breaking news and giving a voice to the voiceless. She's also been recognized by the Broadcast Education Association for her coverage of Ebola reaching the United States in 2014. Before joining the KCEN news team Emani interned at KPRC in Houston, Texas and KSAT 12 in San Antonio, Texas. She was also the lead reporter and main anchor at her college station for three years. Emani earned her Bachelor of Science in Journalism and Political Science from Northern Arizona University. She is also an active member of the National Association of Black Journalists. When she's not chasing down a story Emani enjoys dancing, volunteering, hitting the beach and spending time with family.